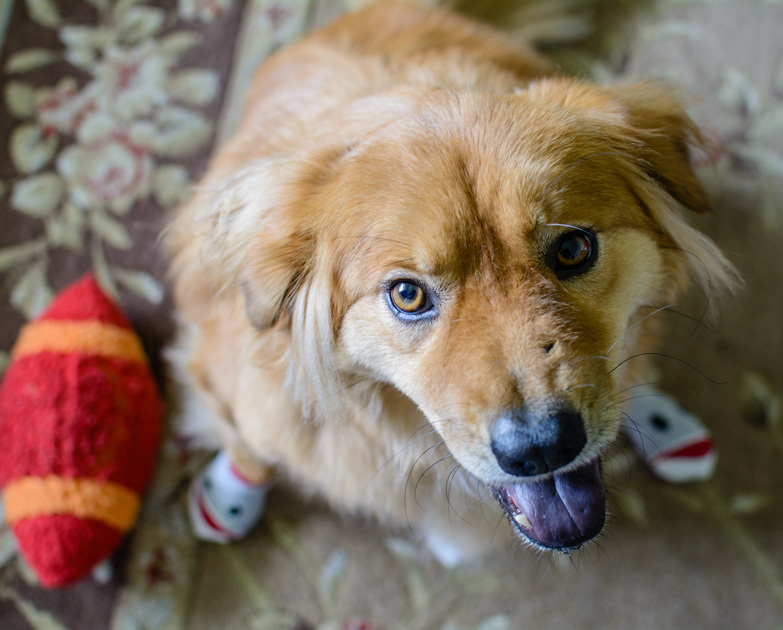 This is my dog Barkley and he is modeling his new Sock Monkey socks. He is a tripod (a three legged dog). We are going to be evaluated next month for him to go to nursing homes and he hates slippery floors so I got him the socks to make the floors easier for him to maneuver. Wish us luck!